Here we have a nice set of painstakingly sampled sounds from one of our cutest possessions: the Mattel Synsonics Pro. The Synsonics were a range of drum machines manufactured in the early 80s by Mattel -yes the same Mattel that brought us the “Barbie” doll and fine products like the infamous “Mattel Lie Detector”. Although they were marketed as toys, these machines used analog circuits similar in nature to other professionally oriented boxes such as the CR and TR ranges by Roland. Just like other musical toy products such as the Stylophone, wich some artists like David Bowie embraced instantly -probably because the lack of pedigree of these products granted them some underground mystique-, the Synsonics was also adopted by visionary artists like Kraftwerk. It’s probably the quirky unpolished sound of it’s circuits what gives the Synsonics Pro -the top of the range Mattel Synsonics drum machine- this fresh aura, and thats what we’ve tried to capture with this sample set. 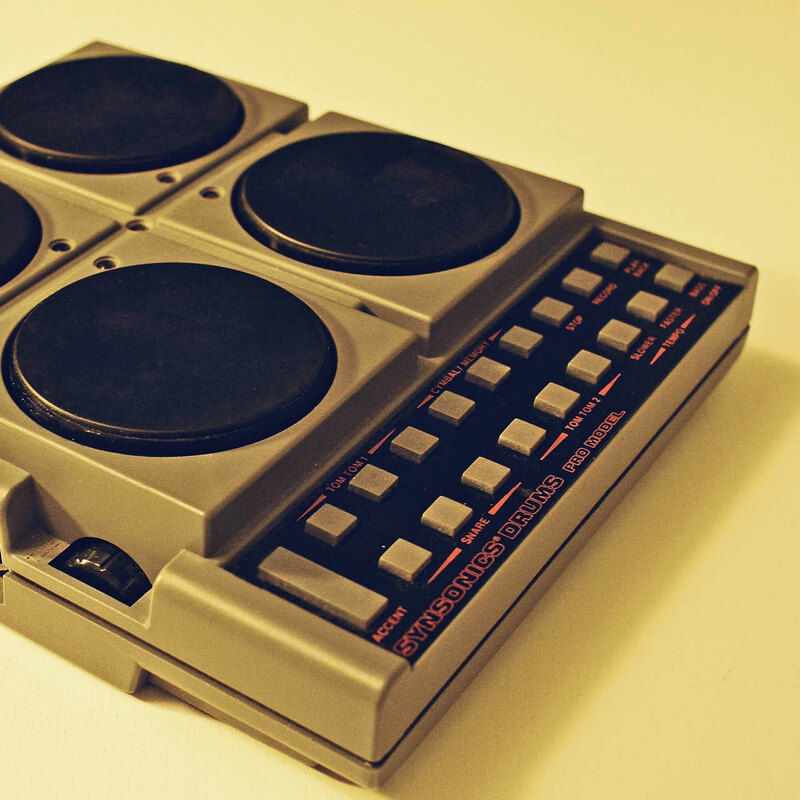 Even though it’s a toy, we believe that it deserves as much attention as any other drum machine in our collection. So we’ve done our signature “round robin” multisamples for each of the sounds. Last but not least, since the signal to noise ratio of the Synsonics is pretty lo-fi by today’s standards, we’ve also provided you with polished versions of the sounds -with noise-reduced in adddition to the quirky raw versions of the samples -with the actual noise of the machine + some compressed and drived versions of the samples. This way, whatever you choose, you can use these right away in any project without any extra work.